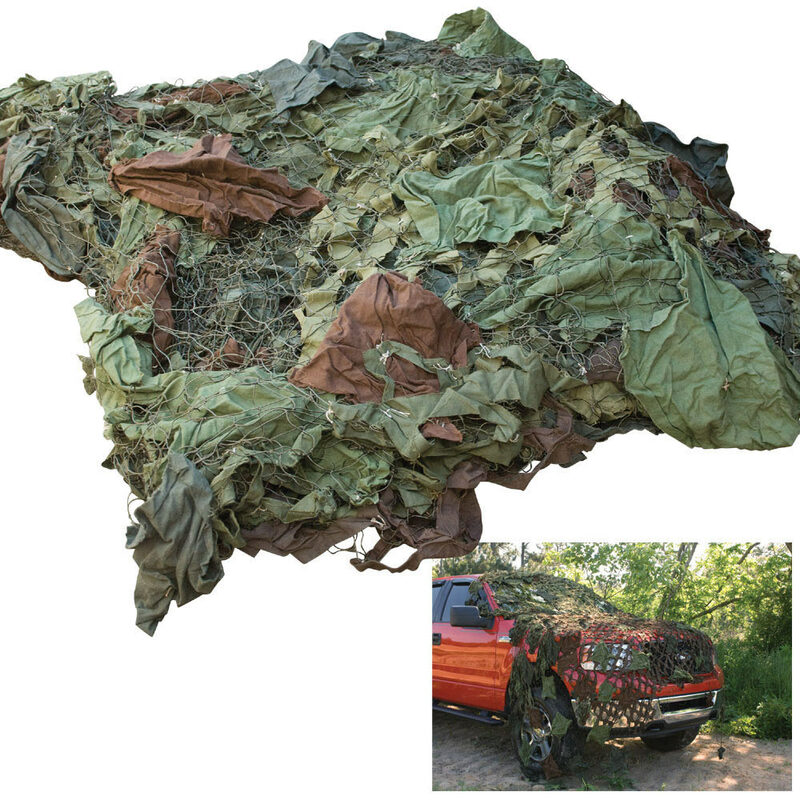 Czech Military Camo Netting - 12' x 12' | BUDK.com - Knives & Swords At The Lowest Prices! Now you see it, now you don't. Lay this 12' x 12' Czech Military Camo Netting over large objects, and they become virtually invisible. 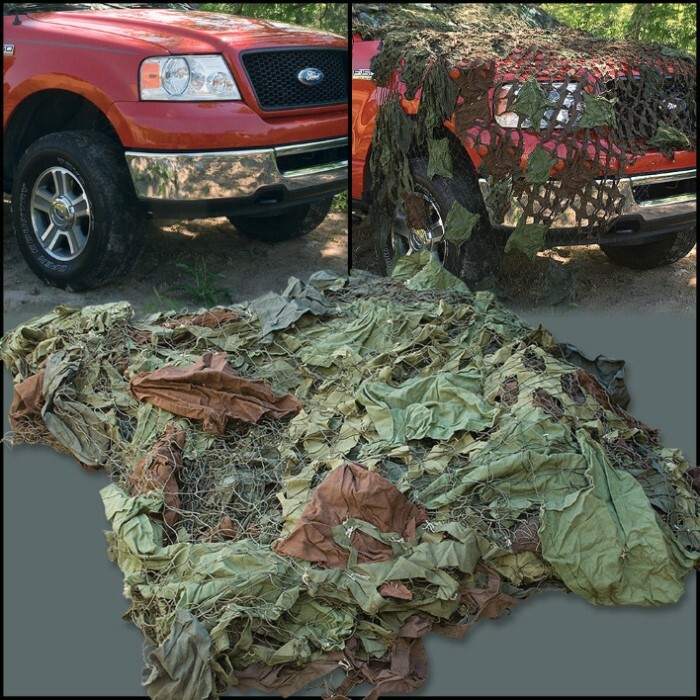 It's perfect for tree stands, duck blinds or camouflaging a vehicle or tent. The rugged military material will last a lifetime. Whatever you need to hide from sight, this NATO-approved netting will easily make it disappear! Bought 3 of these camo netting and in less than 30 days they have all faded. Not made of very good material. Other camo nettings I've bought didn't fade in the sun and lasted way longer than these. Don't buy if you plan to use them outside. You get what you pay for. At least half of the netting has no fabric on it. There is 1/4 that is fairly well covered the rest has some 6x6 patches and bare. To get any thing very well covered in a12x12area you will need 4 of these.